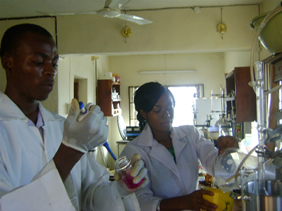 This pictures were taken from the research laboratory of Dr Chukeze, a senior lecturer from the department of applied biochemistry, in Nnamdi Azikiwe university awka. The research laboratory is involved especially with researches that has to do with protein's isolation, extractions, purifications, kinetics and characterization studies. 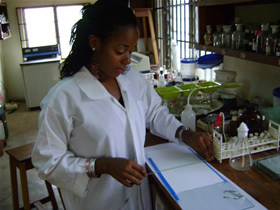 The research laboratory, located in the capital city of Anambra state (Eastern Nigeria), is also equipped with the capabilities to undertake researches that involves the extraction, quantitations, and analyses of phytochemical, lipids, essential oils, heavy metals and other biomolecular compounds. Researches into microbial based inquires is also conducted here.